Tomorrow morning at a ghastly hour in our time zone, Team Canada will be going for gold in the Men’s Hockey final in Sochi. What better way to pump ourselves up than with a batch of Canadiana in the form of some delicious cupcakes? 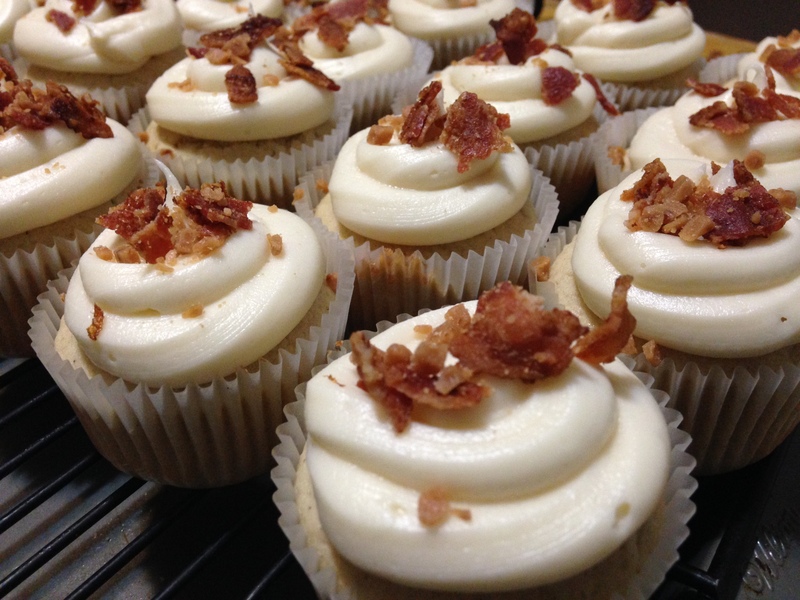 I present you with maple cupcakes with maple cream cheese frosting topped with bacon and toffee bits.